The Department of Cardiology, Angiology and Internal Intensive Care at the University Hospital Ulm offers counseling, diagnostics and treatment in cardiovascular diseases. The department specializes in heart valve diseases, congenital and acquired arrhythmias, coronary heart disease, congenital heart defects, heart failure, etc. The department also includes a Stroke Unit with the Emergency Care Unit. The Chief Physician of the department is Prof. Dr. med. Wolfgang Rottbauer. 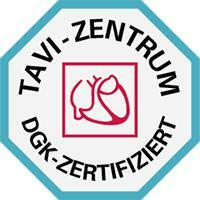 The department ranks among the leaders in catheter treatment of heart valve defects in Germany. The catheter techniques are extensively used in aortic valve replacement and they are the standard method for progressive aortic stenosis treatment (transcatheter aortic valve implantation (TAVI)). As shown by numerous examinations, valve transcatheter implantation significantly reduces the risk of possible complications, as well as significantly increases survival rates. Before the intervention, the patient needs an accurate diagnostics with the help of CT, cardiac ultrasound and catheterization to determine an optimal treatment method, as well as the size and type of the valve. The intervention itself is performed in a hybrid operating room equipped with the state-of-art medical equipment. The specialists of the department are in constant search of new progressive treatment methods. For example, many years of research in the field of heart rhythm disorders have already brought the results. Thus, the department's surgeons for the first time in the world performed a surgical intervention using cryoballoon to treat atrial fibrillation. The department is proud to offer an innovative treatment method to patients with atrial fibrillation. 1987 - 1989 Medical School, University of Regensburg. 1989 - 1994 Medical School, Julius Maximilian University of Würzburg. 1992 - 1993 Medical School, Columbia University, New York, USA. 1994 Doctoral thesis defense, Cardiology, Julius Maximilian University of Würzburg. 1994 - 1997 Resident and Research Fellow, Cardiology, University of Heidelberg. 1997 - 1998 Resident and Research Fellow, Cardiology, University of Lübeck. 1998 - 2002 Postdoctoral Scientist, Harvard Medical School, MGH, CVRC (Prof. Dr. med. Fishman). 2002 - 2008 Head, Molecular Genetics, University of Heidelberg. 2004 - 2006 Board Certification in Internal Medicine and Cardiology. 2004 Attending Physician, Department of Cardiology, University of Heidelberg. 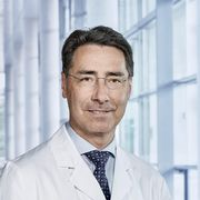 2008 Vice Chair, Department of Cardiology, University of Heidelberg. 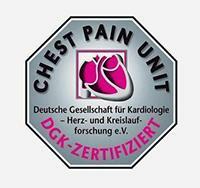 Since 2010, Head of the Department of Cardiology, Angiology and Internal Intensive Care at the University Hospital Ulm. 1998 - 2000 Research grant by the German Research Foundation (DFG) (RO2173/1). 2000 - 2002 Trainings grant by the American Heart Association. 2003 Oskar Lapp Prize by the German Cardiac Society. Department of Cardiology, Angiology and Internal Intensive Care.